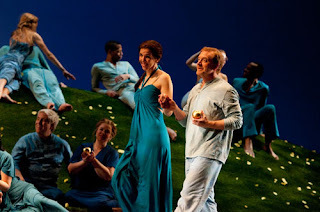 Our current production of Orphée et Eurydice means a lot to Seattle Opera, because it shows off the talents of three designers who have stewarded their skills as part of the company’s Tech and Production Departments: Phillip Lienau (sets), Connie Yun (lights), and Heidi Zamora (costumes). We’ve already chatted with Zamora about her company design debut with Orphée, and now is our chance to speak Lienau, who also makes his debut with this production. We ask him about his history with Seattle Opera, what the Orphée design process was like, and what this powerful myth means to him. Orphée et Eurydice marks your company debut as set designer. 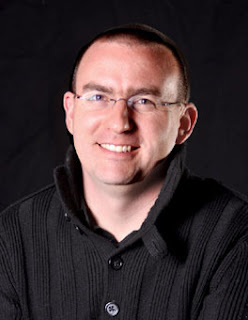 Can you explain what your role has been with Seattle Opera prior to this production? I started as a technical draftsman at Seattle Opera Scenic Studios. In that capacity, I’ve produced the technical construction drawings for anything that’s built in the shop, and I work in conjunction with Dave Crouse, who is the Assistant Technical Director. I started that job in about 2008, and about a year in, Technical Director Bob Schaub allowed me to be an assistant set designer for Robert Israel on our production of Tristan und Isolde in 2010, because he knew I had an interest in set design. 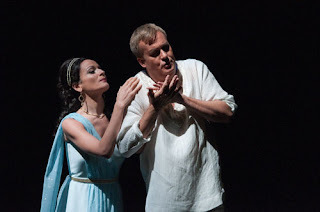 I had a great time doing that, and then assisted Bob and Robert Dahlstrom in their co-design of The Magic Flute in 2011. At the same time, I expressed a general interest in helping the company as a designer—not necessarily doing a mainstage show, but also helping with shows that we would rent or shows that we want to add to or modify in some way. So when Porgy and Bess came up and they wanted to redo the Kittiwah scene, Bob asked me to come in and help the redesign and I worked with Projection Designer Chris Reay to redesign that scene in a way that was useful for the show. 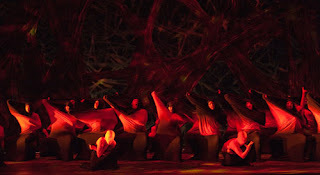 Some scenic studios might balk at the natural, organic shapes you’ve designed for this production, but Seattle Opera Scenic Studios, with their experience working on the Tom Lynch Ring, must be old hands at it. In my experience, they leap at the chance to make some challenging organic shapes. And what is so interesting is they make it look so easy! They’re working hard, but there’s such a pleasure and joy they take in coming up with creative, affordable, light, safe ways to do all this. These are people I love dearly as friends, but also respect immensely as masters of their craft, and I really mean that quite seriously. 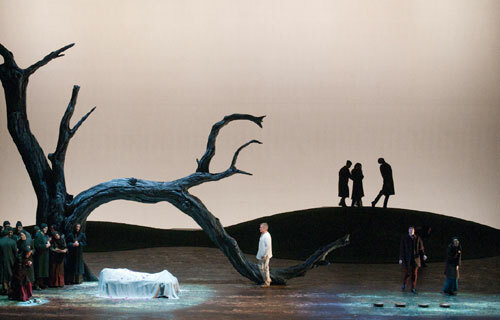 Yes, they have experience with the Ring, but the tree that shows up in Orphée is a different construction than the Tristan tree, the Lucia tree, the Ring trees. All are different modes of construction. They have similarities, of course, but each one, each beautiful example of a tree, is built differently because it is specific to a show. I hope audiences will be delighted in recognizing that craftsmanship. 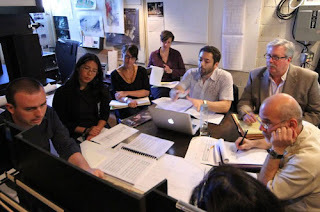 The design team discusses Orphée et Eurydice. Left to right, Set Designer Phillip Lienau, Lighting Designer Connie Yun, Costume Designer Heidi Zamora, Costume Shop Manager Susan Davis, Director Jose Maria Condemi, Technical Director Robert Schaub, and Production Director Vincent Feraudo. How much of the design for Orphée did you come up with independently, and how much was a part of any collaborative process with Director Jose Maria Condemi, Costume Designer Heidi Zamora, and Lighting Designer Connie Yun? At the very beginning of the process, I did work somewhat independently. That is to say, Jose Maria and all the designers talked about ideas and the kind of story we wanted to tell, but we didn’t talk about very many scenic specifics. So there was a great deal of design freedom on my part, to discover what physical representations of those ideas I might find. But that was only really the very beginning. Very rapidly after the first month or two, everything became intensely collaborative, in the best way. It’s really been a dream situation; I have such fantastic access to my fellow designers because we’re all on staff, and to the director who has made himself very available. So really there’s nothing on stage that isn’t a group effort. I feel a great deal of pride and authorship, but part of this business—certainly as a designer—is embracing the idea that you’re part of a team. And I think it’s worked very well here. What was the inspiration for some of the imagery you’ll be using in this production? The inspiration was, first of all, emotional. We were looking for ways to express deep sorrow and longing and joy and uncertainty in the human condition. That can be extremely vague—how do we do that? Well, what we did is we looked at the various images of grief and joy and sorrow and loss and so on, to find anything that spoke to us, on a really deep emotional level. Then we tried to discover how we could express those images in three dimensions, on stage, in a way that makes sense for the action. We start the opera in a scene I would call close to our world. It’s not exactly our world, but there are scenic elements on stage that may be familiar to us: a grassy hillside, a tree, a large slab of granite. We’re almost in a dreamscape, but people are wearing real clothes, there’s real weather, if you will, and the elements are behaving in a way we recognize. From that opening scene, however, we go into the underworld, and all bets are off. We go into a deeply mythical place, and the first scene in the underworld is all about the barriers Orphée must overcome on his way to find Eurydice. These barriers, as you’ll see, are created by other creatures in the underworld, which was the wonderful province of Jose Maria and choreographer Yannis Adoniou. But there are also scenic barriers. We have some cocoon-like surfaces all across the stage that Orphée must find his way through, and it’s as much an emotional barrier as a physical one. The Furies in the underworld. In the following scene, he has succeeded and he’s made it to the Elysian Fields—but there’s actually another barrier he must overcome here, and that is the extreme perfection of this world. We see elements of the real world, like the grassy hillside we saw in the beginning, but it’s perfected. Everything is almost too perfect—there’s something not quite right. I think this is a chance for everybody, either on stage or in the audience, to ask themselves: If we ever found utopia, if we ever found perfection, would we actually be happy? Is there something in the real world, as we know it, that requires us to work and to strive that is actually more attractive to us? I don’t have the answer, but I think that scene asks that question. Blessed Spirits stroll through the blissful Elysian Fields. Once Orphée and Eurydice are back together and starting their journey back home, they go into what I would call the darkest scene—scenically, and nothing to do with the lighting, necessarily. For me, it’s a simple, single image of blackness. A void all the way across the stage, and a single strange image on stage right, of some huge object that’s maybe roots of a tree, or a creature, or maybe more of the cocoon stuff from the first underworld scene. In any case, it’s malevolent, something alive that is threatening to pull them back, to make it so they will not succeed. But besides that, the main obstacle is the blackness. Again, it represents a spiritual barrier. Orphée and Eurydice must contend with themselves, with their trust in their own abilities and in each other, to make it through to the other side. Their love is tested, their trust in the gods is tested. Eurydice (Davinia Rodríguez) and Orphée (William Burden) on their journey out of the underworld. When they make it through to the other side, they are back in the world that we recognize from the first scene, but it has changed. It is more alive, it is essentially springtime. There is still plenty of death and sorrow evident, but there is now hope. It has transformed in subtle ways, because the idea is that this isn’t the Elysian Fields. We haven’t made it to paradise. There’s still work to do, but as long as we have hope, anything is possible. Obviously, a lot of thought has gone into designing this production. So, what does this story mean to you, personally? Oh, where do I start? For me, it’s about hope for a life beyond death. And by that, I do not mean an afterlife or reincarnation or heaven. No, what I mean is, can you believe in an essential good in this world, in the midst of loss and death? Can we find a way forward, can we find a strength in ourselves and in our communities to put one foot in front of the other in the face of tragedy? For me, Orphée’s journey is about discovering that he does actually have the power in himself to move on to the next point in his life. He comes very close to committing suicide in this story, and for me that’s not a good answer to loss or grief. I can understand that impulse, but we have to fight for life, and I believe life is worth fighting for.